Mononoke follows the story of a man simply known as the Medicine Seller. However, it is not medicine he sells, but rather he travels feudal Japan ridding villages of malevolent spirits called mononoke. However, in order to kill each spirit he encounters, he must first learn its Form, Truth, and it’s Reason. 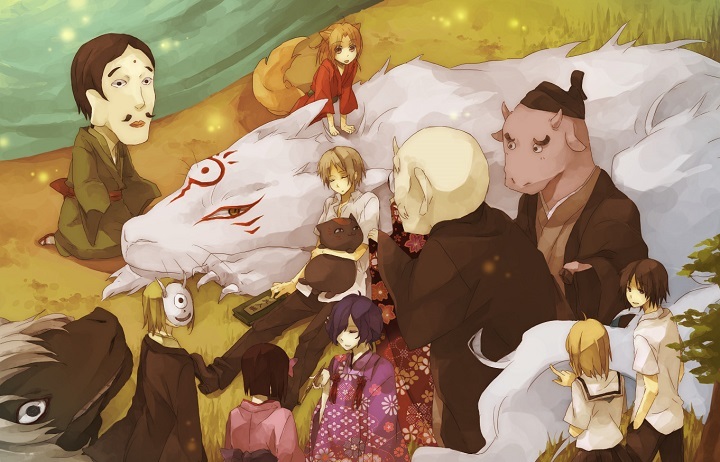 There is something so satisfying about an episodic supernatural mystery of the week, and if that is what you liked about Mononoke, you will enjoy these anime recommendations too. Ayakashi features three classic Japanese horror stories: The story of the betrayed wife and her quest for vengeance, the story of a forbidden love between human and goddess, and the story of a cat monster with a grudge against a particular family. The similarities here are obvious. Mononoke presents short mysteries based on Japanese folklore and Ayakashi tells different folklore horror arcs that are longer than just one episode. As the sun sets, a mysterious man comes to town. 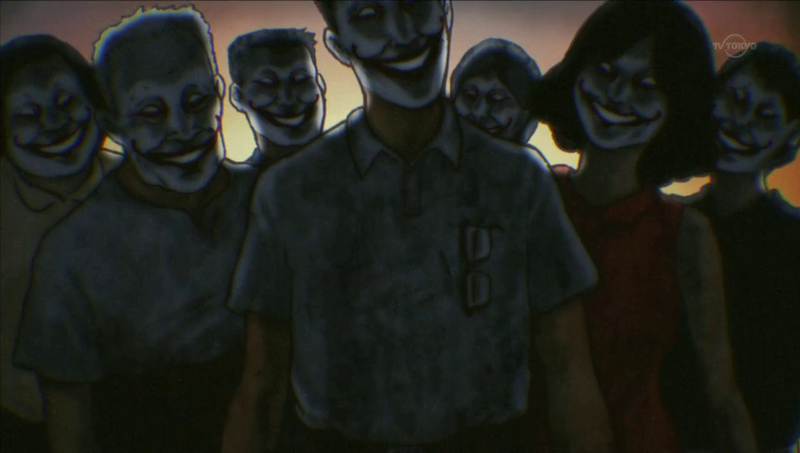 The children all gather round to hear his sinister tales based on Japanese urban legends. Along with his demented narration, he uses a kamishibai, a traditional paper-scrolling device, to add in visuals. If you liked the episodic tales told in Mononoke, but don’t necessarily want the same mystery, Yamishibai is a good horror ride. Each short episode tells a different short horror story, while it has some mystery, it is not presented quite the same way. 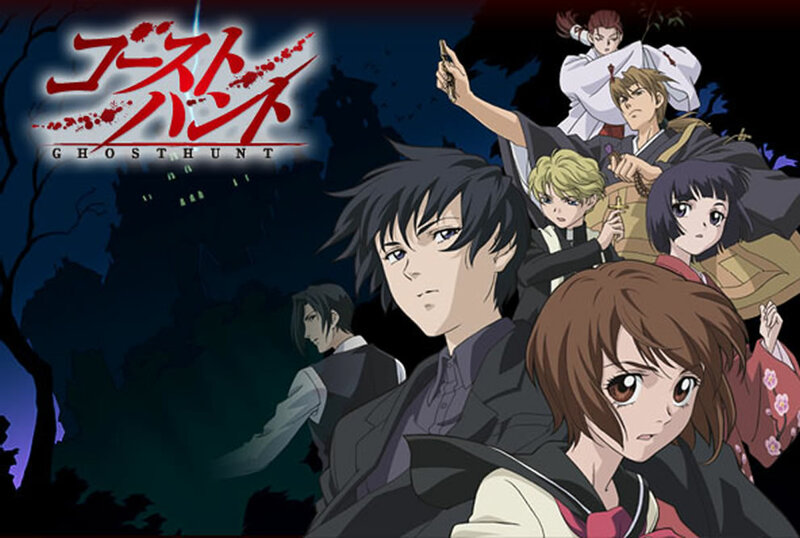 For as long as he can remember, Takashi Natsume has been chased by spirits, but recently he discovered that the reason was because his deceased grandmother had passed on to him her “Book of Friends,” a book containing all the spirits she had brought under her control. Now Natsume realizes that these spirits haunt him in hopes of gaining freedom. With few friends, no loving home, and constantly hunted by malicious spirits, Natsume looks for a place where he belongs. 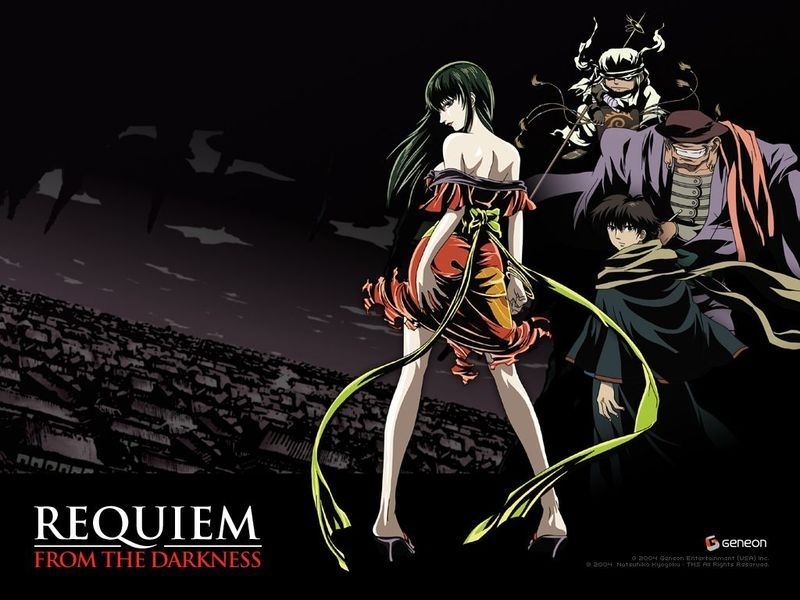 If you enjoyed the premise of Mononoke, but want something a little less chilling, this is an excellent show to watch. Natsume’s Book of Friends is more of a light version of someone helping supernatural beings with their problems. In this world, there exist Mushi, spirits that often exist with no purpose. However, these Mushi can affect the physical world in countless forms from diseases to more pleasant phenomenon. Why do these Mushi exist? That is the question that Ginko the Mushi-shi, a researcher on the phenomenon, asks himself as he travels the land investigating Mushi-related incidents. 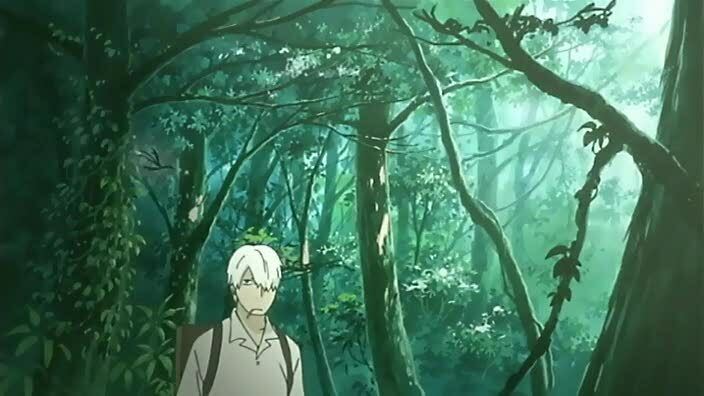 While they deal with different phenomenon, both Mushishi and Mononoke deal with the supernatural. However, it is not just that, but the episodic tales are essentially about the main character unraveling the what and why in order to fix or study a problem. It is said that those who hold a powerful grudge can access a particular website at midnight. By entering a name here, that person can be ferried straight to hell. 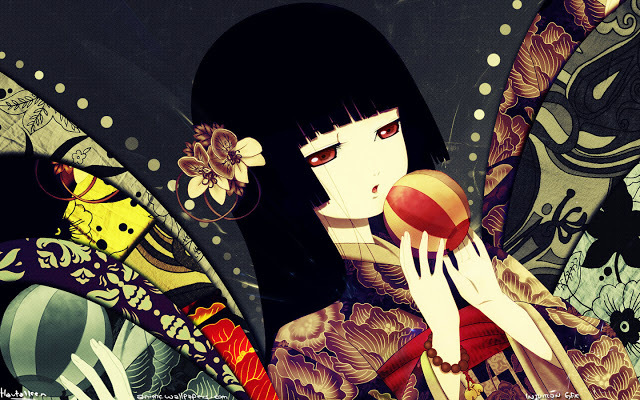 This is the tale of Ai Enma, the Hell Girl that carries out those orders. The two series are actually stunningly similar. Ai and the Medicine Seller are both rather emotionless folk that deal with supernatural aspects in their daily lives. The key difference is that Ai is really just a messenger and doesn’t actively try to fix things like in Mononoke. Accompanied by her talking motorcycle, Hermes, Kino travels through her mysterious world, spending only three days and two nights in each town. The idea is that three days is enough to learn almost everything about a place. This is the story of her journey. While Kino’s Journey is more philosophical rather than supernatural, it tells a similar sort of story. You follow one character on a journey, Kino’s has less of a point, but each episode presents a different sort of story as they experience something new. Tired of writing riddles for children, Tamaoka Momosuke decides to gather spooky and gruesome stories to publish them in an anthology called the One Hundred Tales. In his research for myths and legends, he happens across three detectives that reveal the truth behind the legend, bringing those who have done wrong to justice. If you enjoyed the human flaws in Mononoke as well as the supernatural cases, but want something more violent, then this is the series for you. Both present a mysterious main character and also focus on more episodic stories rather than a linear plot. 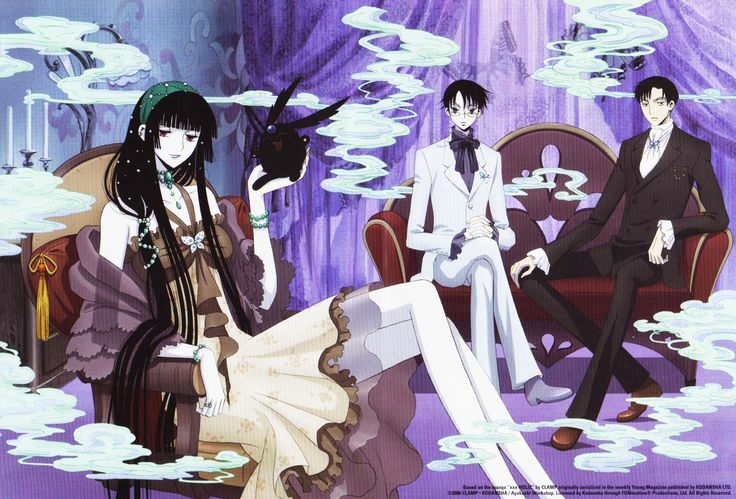 Watanuki can see spirits and supernatural creatures, an ability he finds annoying. However, one day after being bothered by some spirits, he feels compelled to enter a strange house. Within, he meets Yuuko, a woman that claims to be able to remove his ability for a price. The price being that he works in her store where she grants wishes. Both of these series deal almost primarily with the supernatural and Japanese folklore. You will note distinct Asian influences in everything from the content to the colors and animation. 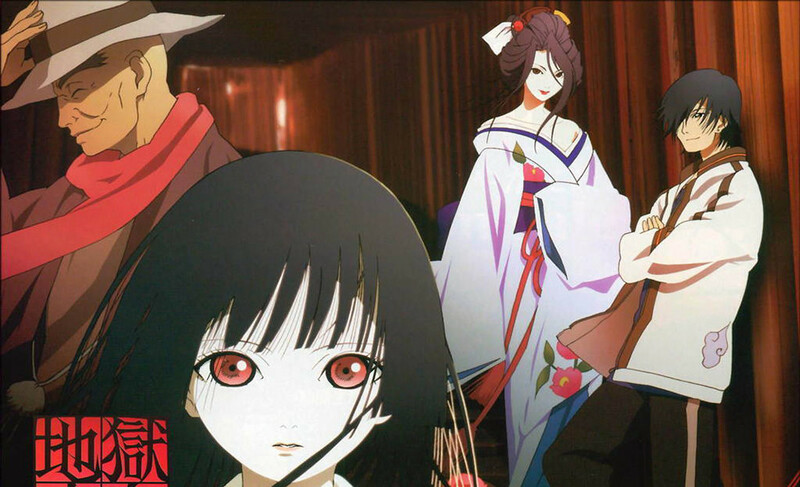 Of course, Mononoke can be eerie at times and XXXHolic doesn’t quite reach such heights. Taiyama Mai likes to exchange ghost stories with her friends at school, and one day she goes to the abandoned building on campus to do so. While over there telling stories, they are interrupted by Shibuya Kazuya, presidents of the Shibuya Psychic Research Company, a man who investigates ghosts. After accidentally breaking his expensive camera, Mai is forced to become his assistant. Ghost Hunt and Mononoke employ similar plots. There are ghosts, and a person or team of people are tasked with getting rid of them. However, Ghost Hunt employs more modern ghost hunting techniques. Do you have more anime recommendations like Mononoke? Let fans know in the comments section below.